Following in his daddy's footsteps, Bug is a little die-hard gamer in the making. He has a passion for games such as Minecraft and Mario Karts, and irrespective of his young age he has mastered the art of gaming showing surprising skills at the games he plays. When he is not enjoying his allotted gaming time instead having his 'watching shows' time he often opts for watching kid friendly gaming YouTubers such as Stampy to keep in touch with the world of gaming, learning new skills and hearing about new fun games to play. As Bug enjoys games and we like to encourage, monitor and support his love of gaming I make a point of trying to keep my finger on the pulse of gaming especially as unlike his dad I am not a naturally skilled or varied gamer being a gamer person best suited to and just able to handle Mario and Donkey Kong platform type games. As I like to keep up with my gaming son who effortlessly soaks up all gaming knowledge and skills, I do my best to swot up on and check out new games and gaming sites. One such new site that has caught my eye is Poki portal. Poki.com is a dedicated games website that offers gamers over 20,000 online games for free. Providing gamers with the best online games Poki has an impressive range of gaming categories and themes including arcade, racing, action, adventure, movie, thinking, TV characters and shows, educational, and classic board games. 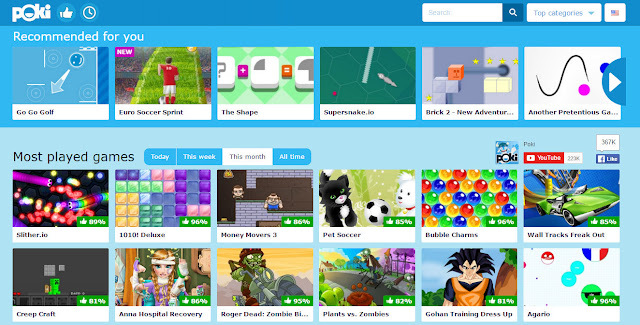 Using clever algorithms the site provides users with personalised recommendations based on the games users already love to play so they can enjoy the best games for them for top gaming fun. The games available on the website are created by Poki's in-house game publishers along with other top game developers. Gamers can enjoy the gaming action in a number of ways thanks to Poki being a cross-device portal and their games being playable on all devices – PC/laptop, tablet and smartphone! After having a little play around the site myself I let Bug have a play too with him declaring that the site was 'game heaven with so many cool games for him to play'. He was also super excited to see games like Slither.io on there which he as watched some of his favourite gaming YouTubers such as iBallisticSquid play. 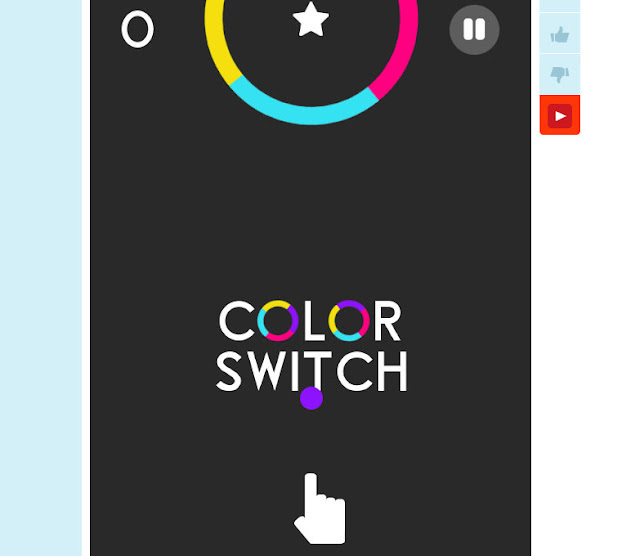 One game that Bug has played a lot of is the Color Switch game. The arcade type is a high-speed action game that tests gamers' reactions and concentration skills to the limit as they try to bounce the ball through spinning colourful obstacles at the right time and colour! Not only is the awesome Color Switch game fun for Bug to play but it also focuses his concentration, develops his hand-eye co-ordination and exercises his reaction times. Poki is a fun gaming portal that Bug will be visiting for a long time to come to get his gaming fix with enjoyable games and with such an impressive range of games he will never get bored! As the site has so many games, with something for everyone, Poki is the ultimate online gaming playground for kids of all ages – little kids and 'big kids' alike! Poki is the place to play! Let's get our game on!